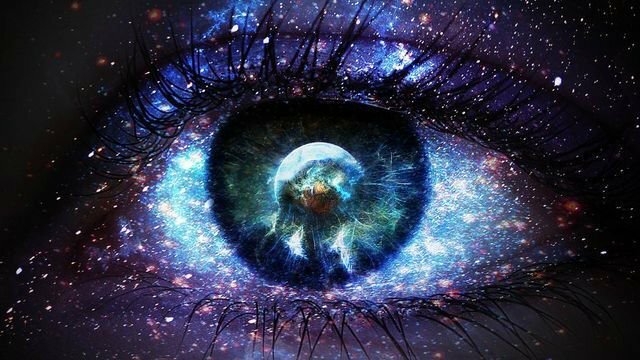 (Kamlesh D. Patel) This is the first in a series of articles about the evolution of consciousness, and how spiritual practices are designed to help consciousness expand and evolve. From the spiritual perspective, we are concerned with a much bigger picture. In order to explore this further, we need to first describe the human makeup. We have a physical body made of flesh and blood that is the most solid part of us. While it changes a little bit, according to how we live our lives, it doesn’t change much. Physical evolution happens over longer periods than one lifetime, so we don’t expect our physical body to evolve in this life. The physical body is associated with matter. We also have a subtle body, also known as the astral or mental body, that is associated with energy and vibration. This is what we call the heart and mind. The third body we have is our causal body, the cause of our existence, which is also known as the soul. The causal body is associated with the absolute state of nothingness, the substratum of existence. This causal body is pure, unchanging and immutable, so it is does not need to evolve. With the physical and the causal bodies, we cannot expect to find evolutionary changes. When we want to change our thinking and our patterns of behaviour, during any process of self-development, be it psychological or spiritual, what evolves or transforms is the middle layer, the subtle body. Spiritual destiny has everything to do with the purification of the subtle body by removing the layers that surround it. In the mineral kingdom, all three bodies are so closely tied together that it is difficult to separate them; they don’t have much freedom. To the extent to which they can free themselves vibrationally, they have different qualities and we give them names like Gold, Lead, Osmium, etc. REMOVING THE LAYERS THAT SURROUND IT. In the plant kingdom, the three bodies are a little looser. Look at a tree. How do you know it has a subtle body that responds? Have you seen flowers that open up when the sun comes? How do they know? They respond so nicely, turning as the sun moves. There is also a plant called Lajvanti, and when you touch it the leaves fold in. When there is a breeze, or even a storm, the leaves and branches of trees dance, but the moment someone tries to cut the branch of a tree, it becomes agitated. You can feel it. In plants, the subtle body, and the causal body are very tightly tied together, and the subtle body cannot express much. In animals, there is a still greater separation, and in human beings all the three bodies are labile or loosely connected. Among different human beings, there are also differences in separation. The three gunas in Vedic philosophy — tamasic, rajasic and sattvik — are based on how loosely or how strongly the bodies are connected. In a sattvik person, the subtle body can move around, whereas a tamasic person is more stone-like. One person can think of something somewhere else, but another person with limited mental capacity may not grasp what is happening around them. Even if you tell them about it, their mind cannot reach there. Sometimes, when we communicate, certain concepts are not understood by the other person because of the subtle body’s inability to grasp them. SO AT THE LEVEL OF THE SUBTLE BODY, WE CAN CHOOSE TO EVOLVE AND GO BEYOND THE ANIMAL LEVEL OF EXISTENCE TO THE HUMAN LEVEL TO THE DIVINE LEVEL, BY EXPANDING OUR FIELD OF CONSCIOUSNESS. They all have a role to play in our evolution, and in the next part we will explore them further.